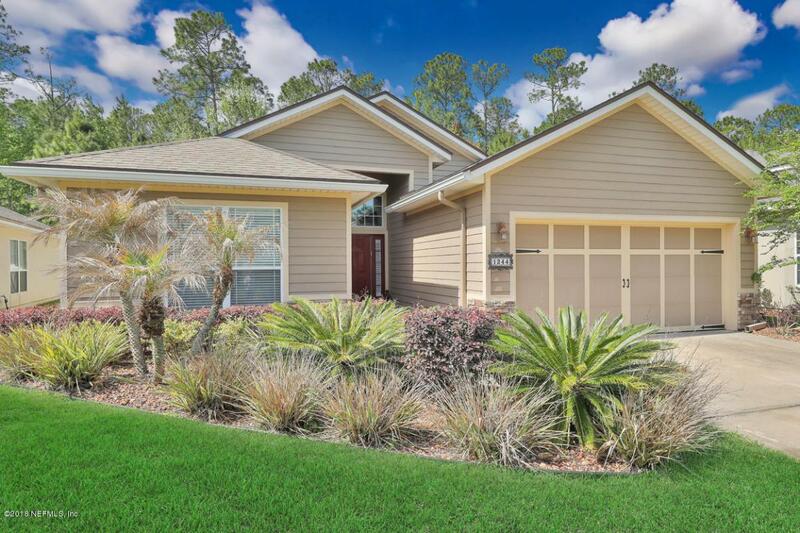 WOW- lowest priced home located in desirable St Johns Golf & Country Club with A-Rated St Johns County Schools!! 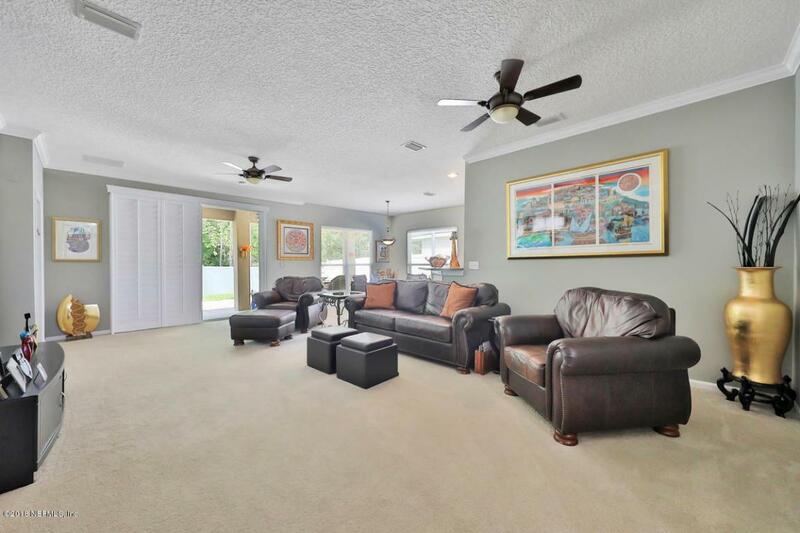 This 3 bedroom, 2 bathroom upgraded home boasts an open floor plan layout in the highly coveted St. Johns Golf and Country Club. 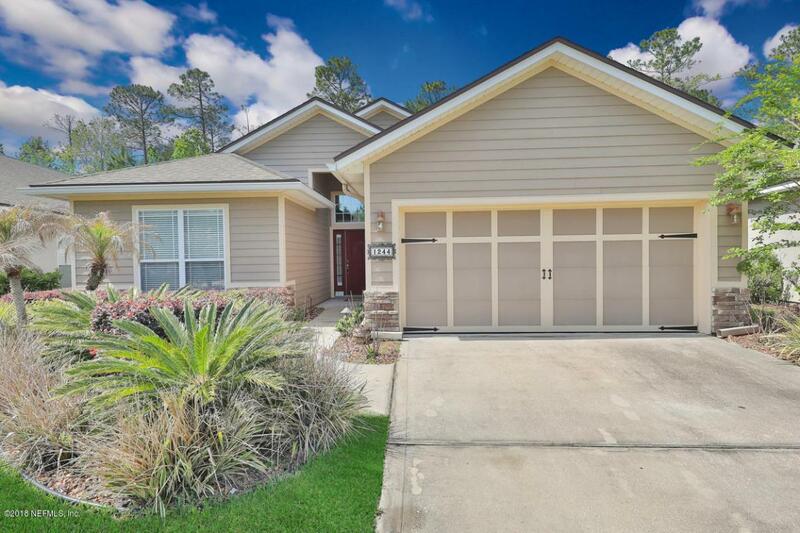 Granite throughout, upgraded kitchen cabinets, breakfast nook, eat-up bar, crown molding in the main living area. Full master suite includes walk in closet, his and hers sinks, and garden tub. Enjoy surround sound in your living area -- wired for built in speakers. Plantation shutters added to the sliding glass back doors. 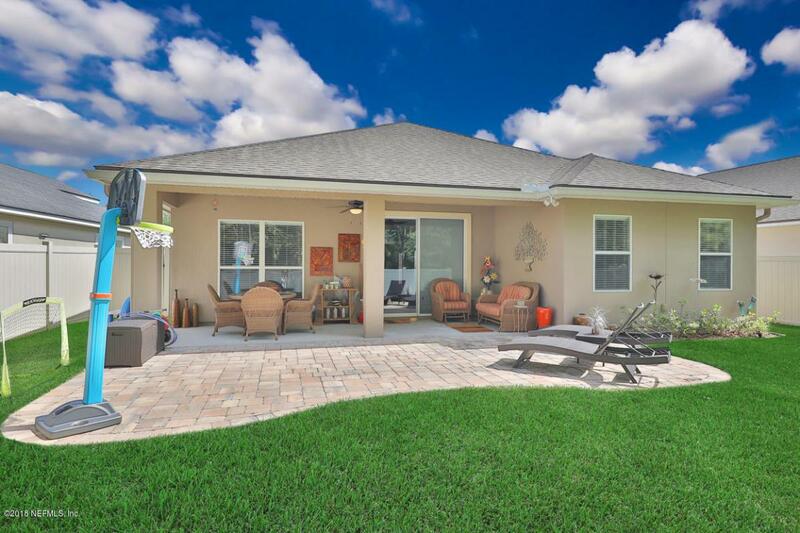 The beautifully landscaped home includes custom landscape lighting, a fenced in backyard with extended paver lanai; perfect for enjoying your outdoor living space. Privacy all around with preserve views and white vinyl fencing. SJGCCcommunity amenities include swimming pool (currently being updated for even more fun!) with slide, lap pool, basketball court, tennis courts, soccer field, sand volleyball court, playground, State of the Art fitness center, and a constantly evolving events calendar. The HOA fee includes cable and high speed internet.